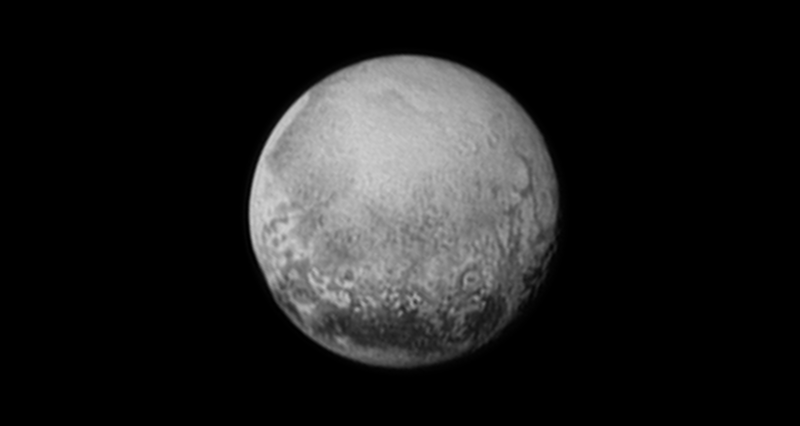 New Horizons is going so fast, it will fly by Pluto's surface in a just a few minutes. It doesn't have enough power to slow down, and Pluto's gravity is too weak to drag something going that fast into orbit. (How weak is Pluto's gravity? it's about 7% the gravity of earth. So if you weigh 200 lbs here on earth, you would weigh only 14 lbs on Pluto.) If you've ever tried to take photographs of something as you drive by on the highway, imagine that but 443 times faster. I'll be waiting up tonight to see what happens after New Horizons checks in. The photos won't be available right away, because it takes 4.5 hours to transmit a message from the probe to earth, and there will be a lot of data to download. But by this time next week, we should have some really stunning views of the latest frontier in our solar system.